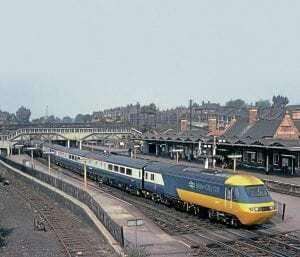 AUGUST 2016 marked the 40th anniversary of HSTs starting in regular passenger service. Initially operated at 100mph until the timetable change on October 4, 1976, they were quickly taken to by the travelling public. However, HSTs were less readily accepted amongst the rail enthusiast community. They were seen as being responsible for the withdrawal of many popular first generation diesels, such as the ‘Westerns’ and then the ‘Deltics’. Consequently, detailed information about the composition and operation of the HST fleet in those early days has always been in short supply. To mark the 40th anniversary, it seems appropriate then to revisit 1976 and recount how the Western Region prepared and implemented the first stage of the HST project.